Pope Alexander VI (1431 - 1503) divided the Atlantic in half in his famous bull giving most of the western New World to the Spaniards and Africa to the Portuguese. He also found time for women. Cardinal Rodrigo Borgia (soon to be Pope Alexander VI) was fifty-seven years old when he chose gorgeous fifteen-year-old Giulia Farnese as his mistress in 1489. She had spectacular long golder hair which in a few years would reach all the way to the marble floors of the Vatican. Giulia was already married to Orsino Orsini. "He was a good husband," states papal antihistorian E. R. Chamberlin. "He was blind in one eye, he knew how to wink with the other." It became an open secret in Rome that the pope had chosen this giddy, joyous, spectacularly beautiful teenager as his mistress. Her friends called her "La Bella"; the people dubbed her the "Bride of Christ." To call it an "open secret" is perhaps too cautious; everyone knew, and very few cared -- except the pope's master-of-ceremonies, a German, Johann Burchard, who kept a diary that has survived. "From the greatest to the least," wrote Burchard of the top church officials in 1491, "they took on concubines in the fashion of marriage, and indeed they did this publicly." He added: "Unless God provides, this corruption will spread to monks and those in religious orders, although the convents of Rome have almost become all brothels even now, since no one forbids it." 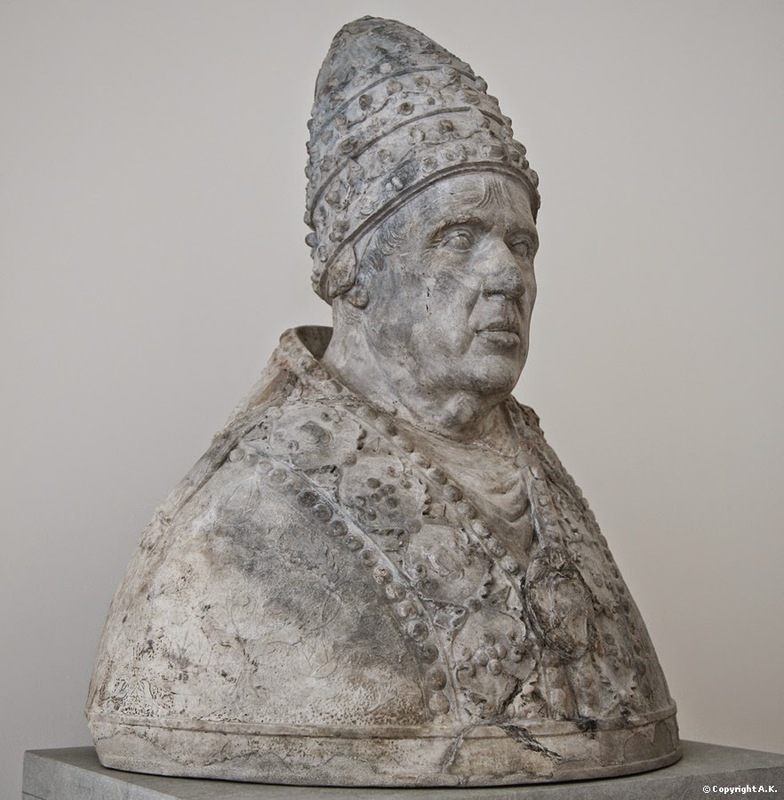 In these modern days of reputable papacy, whose temporal power controls an area the size of a college campus, it is very difficult to get a handle on these Renaissance popes. They fought wars, had mistresses, fathered bastards, sold Church offices, and yet at the same time mouthed pieties. This was accepted behavior. Borgia; Giulia was not skulking in the corners, but dazzling in the front of the wedding party. Lucrezia, whose long white gown's train was borne by a young black, entered the appointed room in the papal palace, and Giulia Farnese and 150 other women followed her to where the pope sat on the great papal throne with eleven cardinals. the doors were shut for about an hour to the male wedding guests. Burchard -- a stickler for protocol -- records of the women that "despite my admonishments, none of them genuflected, except for the pope's daughter and a few others close to her." He adds, though, that later when the pope's son kissed his father's foot, all the 150 women followed suit, performing the traditional greeting of kissing the cross on the papal slipper. The men were allowed to enter about halfway through the ceremony, which ended with a huge celebration. The pope offered up fifty silver urns of sweets, about one hundred pounds of expensive candy. A miffed Burchard reports that "for a sign of great happiness the candies were throuwn into the bosoms of many women, especially the beautiful ones," adding, testily, "and this was done for the honor and praise of God and the Roman church." Giulia Farnese bore the pope two sons, which he acknowledged openly, and one of her descendants from their union became Pope Innocent X (in office 1644 - 1655). More immediately, her brother Alessandro Farnese was made cardinal, and wags called him the "Petticoat Cardinal," that is, until he bacame Pope Paul III (in office 1534 -1549). Giula was portrayed in several religious paintings, including a Transfiguration by Raphael. 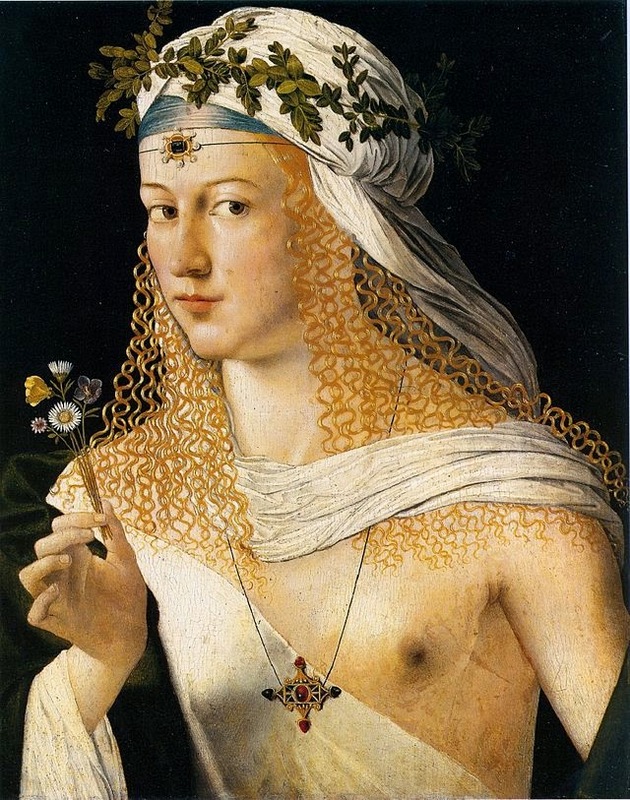 Some scholars also contend that she was the model for the Virgin Mary painted by Pinturicchio in the papal apartments.